Ubuntu is third most used Operating system in the world. It is second popular Unix OS and Popular Linux operating system. I personally recommend Windows for Home / Office users, Windows is a easy to use Entertainment ready operating system. Anyway we can leave it, come to post. Power management in Linux operating system still at beginning stage, there is not good power management tool in Linux. In this area , I like Windows operating system , it has good power management system with third party softwares provided by manufactures. In this post we write about Ubuntu power management system, this is not a good one, but enough. I use a Lenovo laptop with nVidia graphics card, on Windows we can turn off Graphics card using dedicated keys. If we can turn off graphics card it can save your battery life, you can use it for a long time. 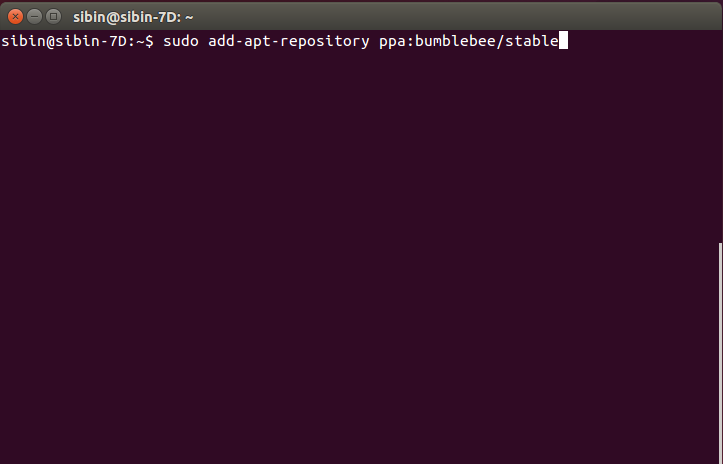 By default Ubuntu hasn’t any tool, We can Bumblebee to turn of nvidia graphic card. Follow below instructions, if you have older version of Ubuntu, just search it on search bar.